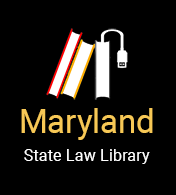 After someone dies, Maryland law does not provide a precise time limit or deadline for filing that person’s will with the Register of Wills. However, whoever has the will (or finds the will) must file it promptly after the person dies. If the person with the will refuses to file it with the Register of Wills, they can be sued by someone who is harmed by their refusal. After a loved one dies, you can file the will right away (a "will of no estate"), and then open the estate afterward. A grieving family member may feel overwhelmed by time limits and paperwork. You can start by filing a “Will of No Estate,” to comply with the law, and then take some more time to gather all of the documents and information you need to open the estate, if that becomes necessary. The law provides very serious penalties for cheating someone by stealing, destroying or changing a will. There are also serious penalties when someone who has agreed to care for a will destroys the will or hides it after learning about the death of the person who made the will.